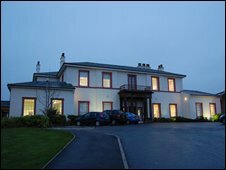 In a grand old house on the outskirts of Whitehaven in Cumbria, a small team of international managers are preparing to take on the task of cleaning up the most intricate nuclear complex in the world. Nuclear Management Partners (NMP) - a consortium representing companies from the US, France and the UK - has been awarded a multi-billion pound contract that could turn into the biggest procurement deal ever signed by the UK government. 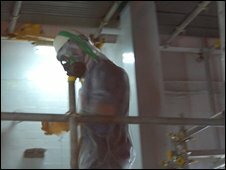 The task ahead: to sort out the mess left behind after more than half a century of nuclear energy and weapons production at Sellafield. "We want to make a difference," says NMP's managing director Bob Pedde. "We are committed to reducing site hazards cost-effectively, through clean-up and decommissioning, while maximizing commercial value." NMP's appointment marks the end of British Nuclear Fuels, better known as BNFL, the monolithic government body that for years was synonymous with the UK nuclear industry. Currently, neither weapons nor electricity is produced at the Sellafield site, though income is earned from reprocessing spent nuclear fuel. That income partially subsidises the main job at hand, namely the decommissioning of the old nuclear fuel reprocessing plants and nuclear power generators - including the world's first commercial nuclear power plant, Calder Hall. 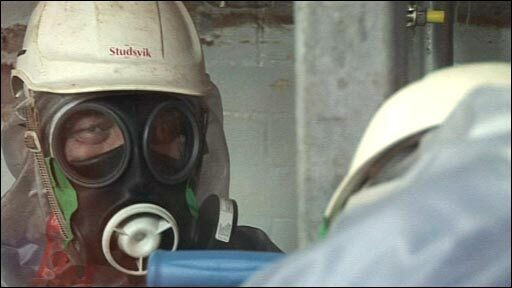 It is just the first in a series of clean-ups of decommissioned nuclear power stations across Britain, which could cost between £72bn and £100bn and take several deades to complete. 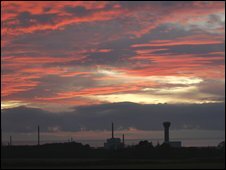 Most of the UK-wide nuclear cleanup bill will be paid for by tax payers through the government agency Nuclear Decommissioning Authority (NDA), which owns the sites. Much has already happened at the sprawling Sellafield site. The distinct cooling towers have been demolished and other high-rise buildings are slowly being picked apart - in some cases, brick by brick - gradually changing the site's famous skyline. "Sellafield is an environmental restoration project", insists Ian Hudson, Sellafield programme director at the NDA. These days, much of the work is being carried out by contractors. NMA's arrival completes a gradual shift from the state to the private sector. "What people haven't cottoned on to is this huge cultural change in the nuclear industry," says Mr Hudson. Back in NMP's offices, the light, modern furniture looks out of place in the traditional surroundings. The shelves contain little other than a few folders. A few bags of corporate Christmas presents are stashed in a corner. But NMP's Mr Pedde will be gone long before Christmas. 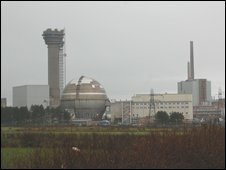 He and his directors are relocating to considerably grittier surroundings at Sellafield, where they will replace the current management team and take charge of a 10,000 strong workforce, plus some 2,000 contractors. The work is challenging, not least because buildings and structures cannot simply be demolished until contaminated concrete and other materials have been safely removed. Making matters even trickier is the way age and exposure to acids used to reprocess spent fuel are causing the buildings to crumble. In many cases buildings and other structures must be strengthened before decommissioning work can start. The Decommissioning Agency has initially signed up NMP for five years, though the initial £6.5bn contract might be extended until 2030. "The contract is designed to last for 17 years in five-year increments and we intend to be there for the long-term," says Mr Pedde. Under the deal, the consortium - which is made up of URS Washington from the US, Areva from France and Amec from the UK - will take over BNFL's share of and run Sellafield Ltd. 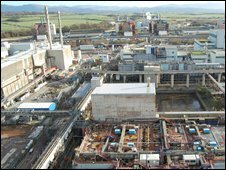 Hence, it is Sellafield Ltd that will receive the money to pay for the gradual dismantling and clean-up of the facilities on the Sellafield, Calder Hall, Windscale and Capenhurst sites. Savings from improved working practices will go into a "fee pool" that will be controlled by the NDA. The pool will be used to pay the consortium a fee, based on a broad range of performance targets ranging from training initiatives for staff to safety. "We incentivise not only what they do but also how they do it," explains the NDA's Mr Hudson. "While it's a private company, we still have to maintain what the government expects a public body to be." The project does not guarantee NMP a profit, though. To make money, the private management company will have to improve efficiency at the site. "There is an excellent workforce here. We are looking forward to partnering them, listening to them and getting their input to discuss what we can do together to maximise efficiencies," says Mr Pedde. "This is not about cutting jobs, it is about maximising the skills at Sellafield. There is more work than this workforce can do in the lifetime plan [for the site]." With regards to on-site safety, the consortium and its parent companies' liability is limited, similar to how the fee structure works, explains Mr Hudson. So if something goes wrong the private operator will only carry the can up to a point, with the government stepping in to bear the bulk of the burden should there be a major disaster. The indemnity has been controversial, though the government insists it would be wrong to expect a private operator to meet an unlimited - and thus uninsurable - cost. NMP, for its part, says the risks and rewards are reflected in the pricing and fee structure. Indeed, if NMP's efforts to change the way Sellafield's workforce operates fails to deliver savings, it will not get paid at all, Mr Hudson points out. "If the efficiencies don't create any fees, they won't get it." Improving industrial relations at the site will therefore be among the first challenges awaiting the new management team. A strike over pay was only just averted in the run-up to the handover, and many on site are apprehensive about their new bosses' arrival. It will be NMP's job to inspire their work ethics while at the same time increase productivity. Part of that process will be to offer them hope of lifelong careers. "We are on the verge of a global nuclear renaissance and, in the not too distant future the UK government will make some key decisions on potential new nuclear missions," says Mr Pedde. "I want to make sure that Sellafield sites and the workforce are in a position to seize whatever potential opportunities these decisions may bring, collectively and as individuals."